Due to an ornithological howler, I originally mistook the marsh harrier described in this article for a buzzard. Having realised my gaff, I have amended the article accordingly. 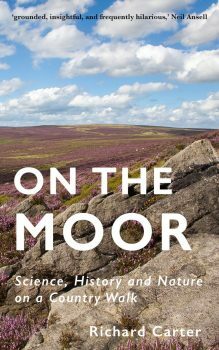 The incident on the Moor remained my longest peregrine encounter until last week. I was sitting in my car at the Dee Marshes on the Wirral, when I spotted a commotion of low-flying teal scattering downwards. They appeared to fly straight down into the marsh-grass at colossal speed, but the resulting splashes showed they had aimed for the safety of pools hidden from my view. A second or two later, I spotted the cause of the commotion as a peregrine swooped low and headed off towards another flight of ducks. More scattering, more splashing. I spent the next 40 minutes watching the peregrine hunting ducks over the marshes. It was too far out to get any decent photos, but I did my best. Peregrine over the Dee Marshes. There was a strong, cold, northerly wind. The peregrine flew back and forth, low over the marsh, hoping, I assumed, to spook some foolish victim into taking flight. Every now and again, it would break off to make an unsuccessful attack on the latest passing squadron of ducks, then it would return to its low, methodical, back-and-forth hunt. 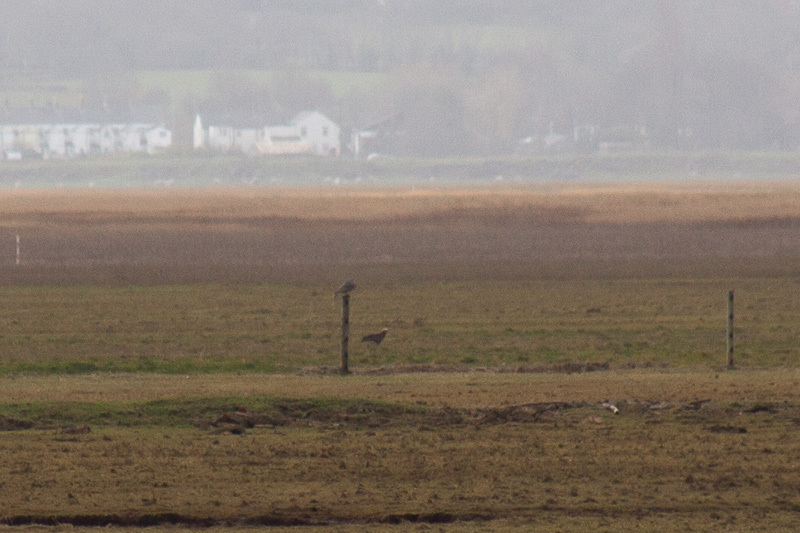 After about 10 minutes, the peregrine was joined by a buzzard female marsh harrier. The peregrine briefly feigned an attack on the much larger raptor, flipping upside down to show its talons, then returned to its hunting, the harrier still in tow. I assumed the harrier's plan was to muscle in on any kill. After a while, the peregrine took a rest on a fence post in the marsh. The harrier hung round for a bit, then headed off. 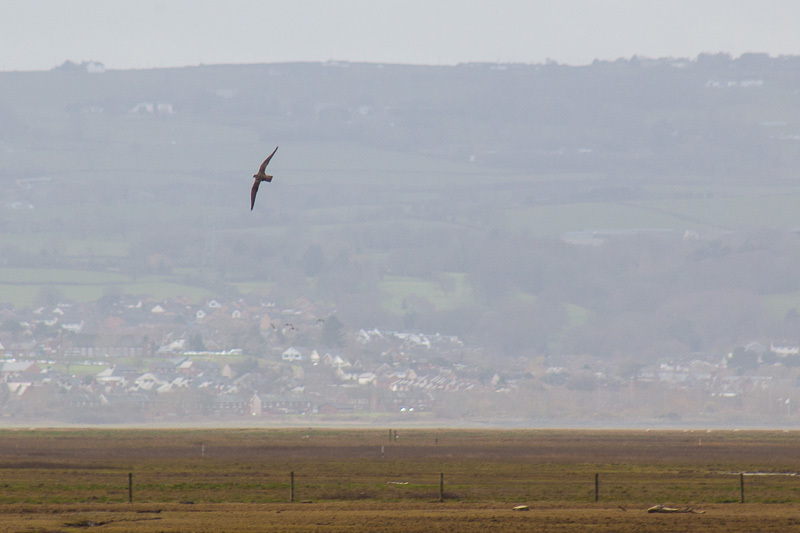 Then, to my astonishment, the peregrine flew from its post and began to tail the marsh harrier. I wondered whether it was hoping to attack any ducks startled into flight by the latter. 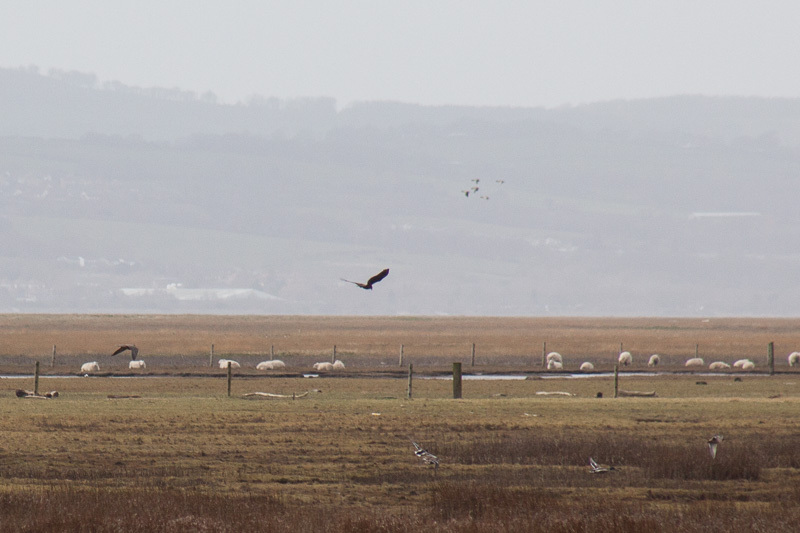 Marsh harrier startling some ducks, with peregrine in pursuit. For the next half hour, I watched the peregrine and harrier hunting together—almost as a team. Sometimes, the peregrine would lead the way; sometimes the harrier. Whenever the peregrine returned to the fence, or to the ground at the foot of the fence, for a rest, the harrier would hang around, waiting. Peregrine and marsh harrier, chilling. I didn't see any kill, but I saw plenty of full-blooded attacks on teal and mallard, until I eventually lost sight of the peregrine during a particularly spectacular dogfight. I assume the harrier lost sight of it too, for it turned and headed off across the marshes towards Wales. I'm reluctant to refer to the peregrine and harrier hunting together as co-operation. It seems far more likely to me that they were both trying to take tactical advantage of each other's presence. I'm sure the apparent truce would immediately have fallen to pieces in the event of a kill. I've never heard of different raptor species hunting together in this way. Perhaps it's a common occurrence. Perhaps not. In either event, I was thrilled to witness it.